From the moment your baby is born, they are stimulated to move. Initially these movements are reflexes, triggered in response to physical stimuli. As your baby’s nervous system matures, they will gain increasing control over the muscles of their body. This occurs as the nerve fibres of your baby's nervous system become insulated with a fatty coating called Myelin. 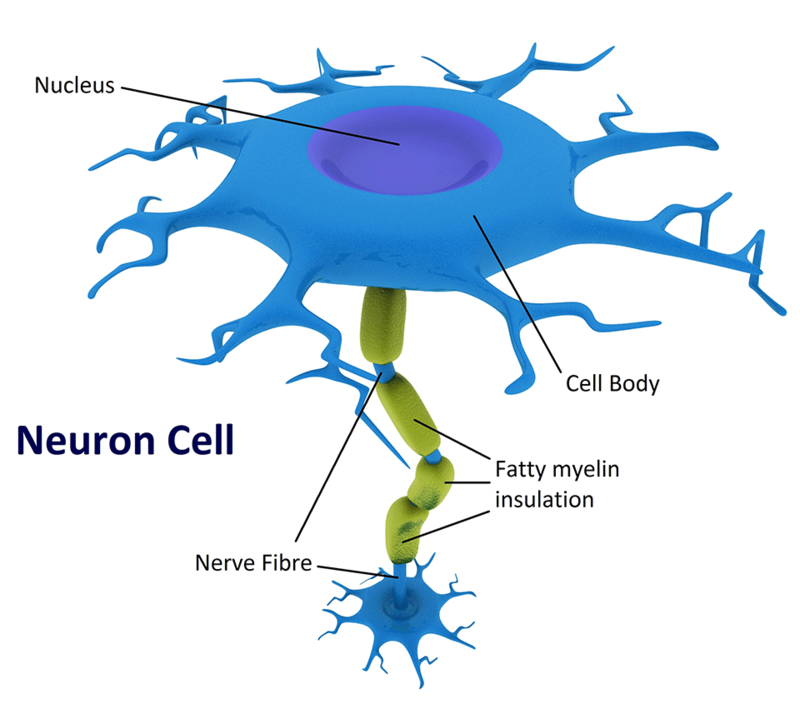 Myelinised neurons pass electrical signals quickly from one neuron to the next or to a muscle. Myelinisation starts in the brain stem and travels down the spine and out along the limbs. The more your baby uses specific neurons, the faster they become myelinised. Having lots of opportunity to move, helps your baby develop their ability to control the movements of their body. Amongst these early reflexes are your new baby’s sucking and rooting reflexes which enable them to breastfeed. This reflex is triggered by gently brushing their cheek. Your baby will also have a grasp reflex. This reflex is triggered if something is placed in your baby's palm. It is such a wonder, to offer your finger into your baby's palm and have them hold your hand! As your baby’s nervous system matures, they will gain increasing control over their neck, arms and hands. This occurs due to a process called Myelination. Myelination involves the gradual insulation of the nerve fibres of your baby’s nervous system. Insulated nerve fibres are better able to pass signals between the brain and the body’s muscles. This gradual insulation process starts in the base of your baby's brain. It moves slowly down your baby’s spine and out along their arms and legs. As each part of your baby’s nervous system becomes myelinised, they will gain voluntary control of the muscle groups in that part of their body. Table 1. below describes the sorts of movement you can expect in your baby with each passing stage. It also describes the reflexes which will still be present and the point at which Myelination has reached. The sequence of your baby's movement acquisitions is more important than the age at which they acquire the new movement possibility. The involuntary, survival based movements that babies are born with. The gradual insulation of nerve cell fibres, allowing information to travel quickly between neurons.